The American Dairy Association North East (ADANE) challenged Look East to create a team of dairy social media champions. Our task was to find dairy farmers with an online presence and teach them how to engage online with consumers and create a collaborative group that was constantly churning out content. The American Dairy Association North East is an organization supported by more than 12,000 dairy farmers in the northeast region through the dairy checkoff programs. ADANE is responsible for promoting dairy and its nutritional benefits to 50 million consumers within its marketing region, which includes DE, MD, NJ, NY, PA, Washington, D.C. and four counties in northern VA. Enter: DairyFAN, the Diary Food Advocacy Network. This project has grown and evolved since inception in 2012, when social media advocacy was still fairly new. In the early days, DairyFAN needed strategy for recruitment and a platform to create dairy influencers. Look East provides support to ADANE on editorial calendar implementation, planning annual activities and facilitating Twitter parties, webinars and in-person meetings and member recruitment and training. DairyFAN members are encouraged to participate in ADANE online and in–person events, networking activities, volunteer opportunities and community outreach. By hosting events and activities, members are provided a platform to engage with each other and build a community and engage with consumers to build relationships. Additionally, members are encouraged to get involved in dairy industry events happening in their local area and bring these events to life via real-time social media engagement. Look East facilitates training sessions to teach engagement strategies laced with the latest social media trends. ADANE provides quarterly online and in-person educational sessions to their members, which spans a variety of topics. participate in special online DairyFAN events, such as DairyFAN hosted Twitter parties. Today, DairyFAN is an actively engaged network of 50 members in the Facebook group. This group of advocates are actively engaged in conversations about food, milk, farming and family and are able to respond to consumer questions and concerns regarding dairy and farming practices. DairyFAN is achieving great things and helping to develop the next round of social media superstars. 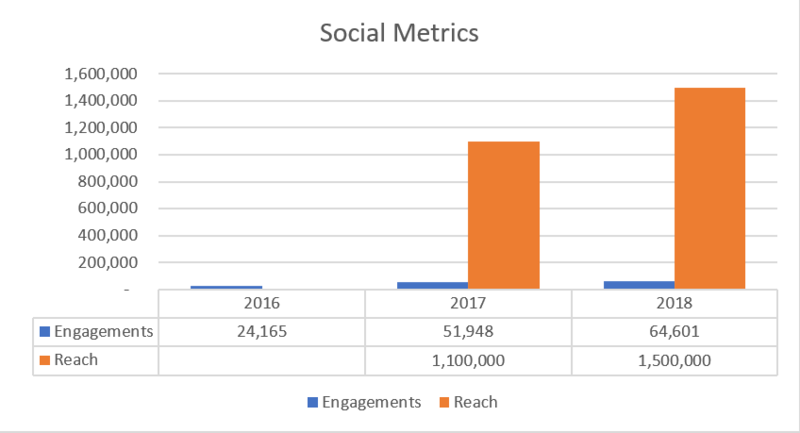 Since DairyFAN has begun tracking engagement metrics, engagement has seen an increase of 167% in two years and has seen an increase of 36% in social reach from 2017 to 2018. My favorite part about the DairyFAN program is being able to bring together like-minded dairy promoters to help them find their voice on social media. DairyFAN creates an awesome support group for these dairy AGvocates, when they run into issues on their social media platforms. It’s great to see the collaboration that comes out of this group.